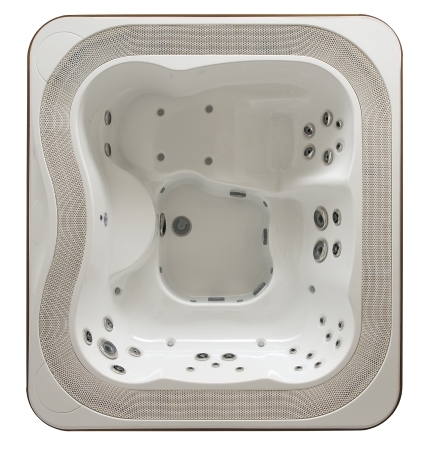 Distinguished by clean-cut, square yet soft shapes, The Profile hot tub will help to escape from the daily routine, to melt tensions away. Fitted with a lounger, a surround stereo system with a subwoofer and a middle-tweeter, jets with stainless steel jet fittings, blowers with aromatherapy, adjustable-colour lighting, an ozonizer. For easier utilisation, a pressure-cartridge filtering system is provided.